Check back often for Festival updates! 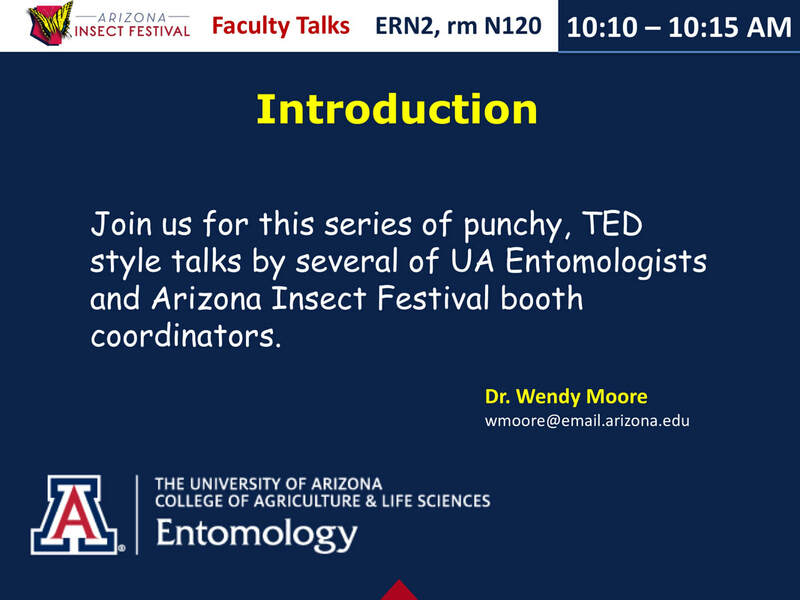 Want to learn more about UA Entomology research? 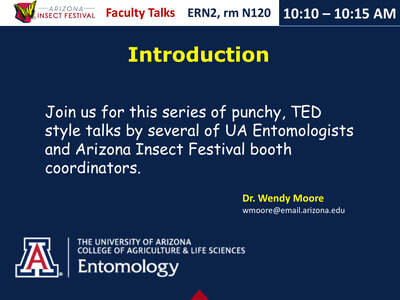 Join us for this series of punchy, TED style talks by several of our faculty and booth coordinators. This talk series will take place from 10:00 AM -12:00 PM in room N120 of the ERN2 building. 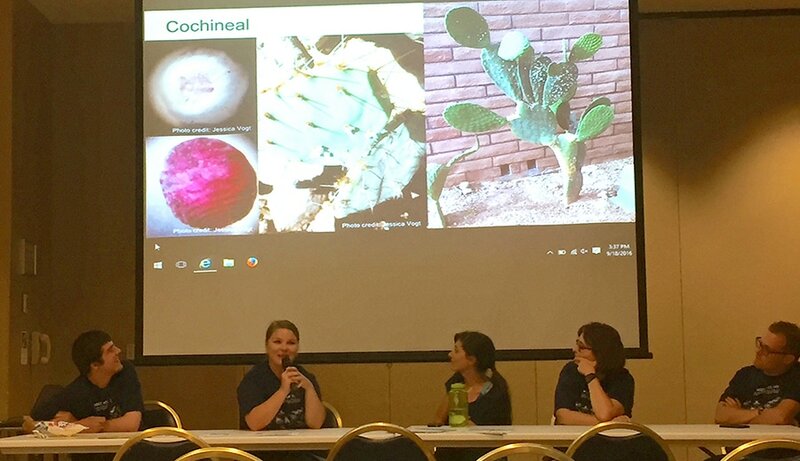 Ask A Scientist Cafe brought to you by the Entomology-Insect Science Graduate students. These panel discussions will take place from 12:00 PM - 2:00 PM in room N120 of the ERN2 building. Graduate students will be three panel discussions on interesting issues in entomology. Check with the Information Desk at the eastern entrance of ENR2 for more details. Desert Dangers brought to you by Laura Morehouse. Poison, venom, danger! Come learn about the creepy-crawlies of the desert with the Arizona Poison and Drug Information Center. Fruit Flies brought to you by Dr.s Luciano Matzkin and Todd Schlenke. 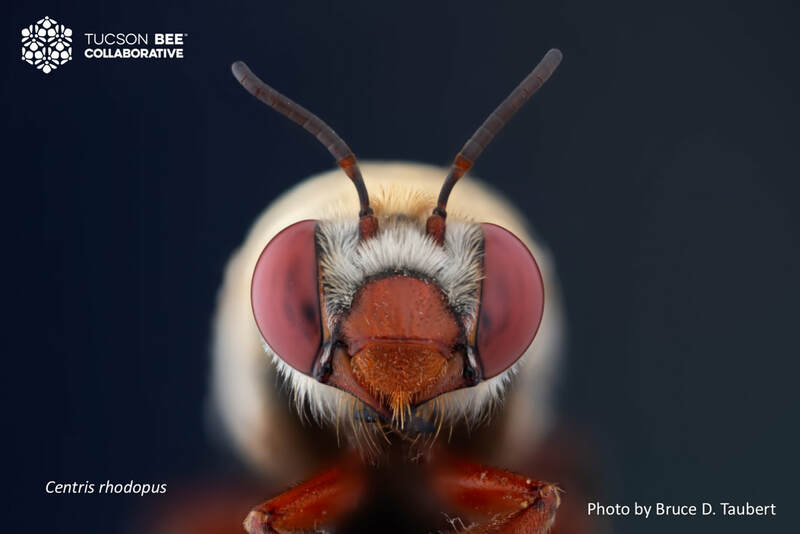 The Fruit Fly booth will let us take a closer look at the little flies that love your fruit bowl, your glass of wine, and the rotting cacti in your backyard. We will learn what's unique about their biology, what challenges they face in nature, and how they've helped us humans understand basic biological principles. Come learn about the diversity of insects that inhabit the Colorado Plateau. ​Desert streams don't always have much water, but they are usually packed with life. Come and learn about the wild world of aquatic insects in Sonoran Desert streams! Stings 'N Things brought to you by the laboratories of Dr. Justin Schmidt, Dr. Warren Savary and Dr. Leslie Boyer. Insects are tiny and often tasty – and they are in a big world with lots of big nasty things that want to eat them. 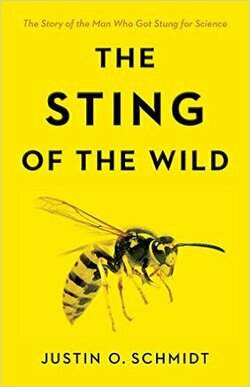 But many ants, wasps, and bees have a trick to level the field: they can sting. Come see insects, spiders and scorpions and learn about what happens when they sting. 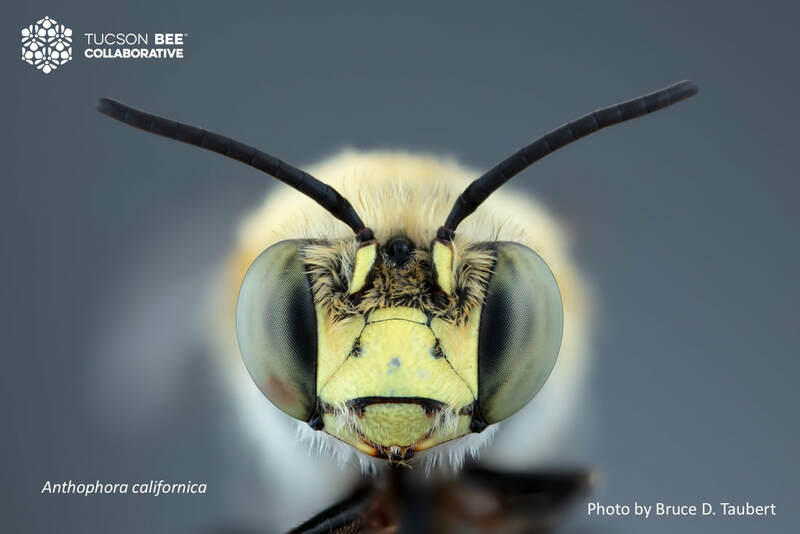 Learn more about native bees with all sorts of fun activities at Tohono Chul's Native Bee Workshop! Find entomo-items for yourself and your loved ones! Totes, posters, and new shirts for 2017! All proceed go directly back to supporting the festival. Thank you for your support! Directions to your best festival experience are at the east entrance of ENR2 -- near the vendors and food trucks! University of Arizona Insect Collection ﻿brought to you by Mr. Gene Hall and the University of Arizona Insect Collection. 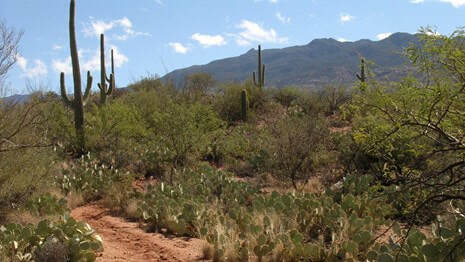 The University of Arizona Insect Collection is a UA core facility that is the cornerstone for entomological research and insect diagnostics for the state of Arizona. The UAIC maintains approximately 2.0 million insect specimens and is the most comprehensive in the world for the Sonoran Desert Region. Insects as Food brought to you by the laboratory of Dr. Yves Carrier. We feed the world with insects and provide information on insects as food. Nature's Notebook brought to you by USA National Phenology Network. Backyard Vampires﻿﻿ brought to you by the laboratory of Dr. Michael Riehle. Meet the most dangerous animal on earth … the mosquito. Mosquitoes kill more than one million people every year and sicken hundreds of millions. 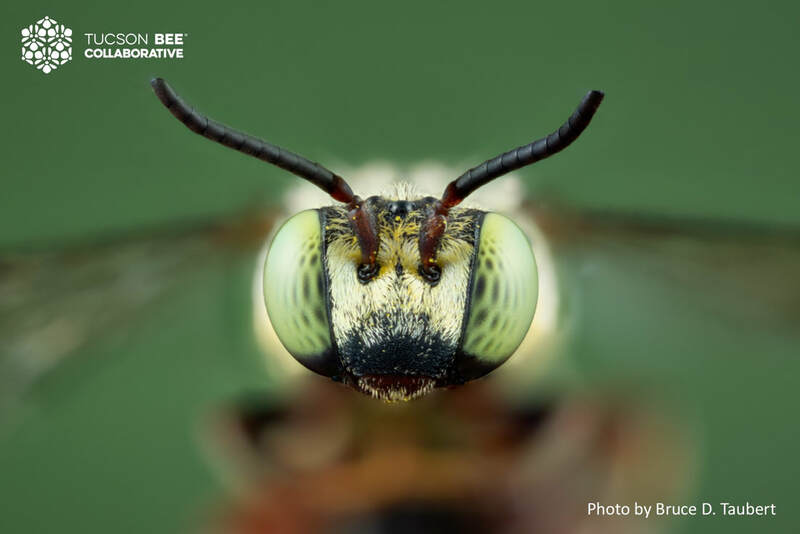 See these insects up close and learn what you can do to control them and prevent the transmission of mosquito-borne diseases such as West Nile virus. ﻿Build A Bug﻿ brought to you by the laboratory of Dr. Kathleen Walker and the Insect Discovery Program. You’ve probably made sandcastles or towers before, but have you ever built a bug? Stop by our Build-a-Bug booth and create your very own insect! Design and craft together a bug of your own…and show off your creation to your friends! Bugs Get Sick Too! brought to you by the laboratory of Dr. Patricia Stock. Did you know that germs, worms and other bugs can make insects sick? Where you aware that Insect parasites and pathogens can be used as biological pesticides to kill insects pests and are alternatives to chemical pesticides? Do you know that many of these germs and worms that kill insects are mass-produced and formulated in USA and other countries of the world? 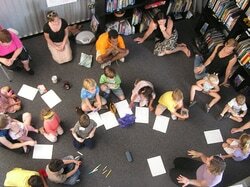 Please come and learn more about some interesting facts about germs, worms and insects. SE Arizona Butterfly Association (SEABA) Local Butterflies brought to you by SEABA. SEABA is the local chapter of the North American Butterfly Association having monthly meeting and field trips which welcome beginners. We will exhibit some of our local butterflies and moths and have some live caterpillars as well. Life in Miniature brought to you by the laboratory of Dr. Molly Hunter. ​When you look at a grassy field, you probably don't think of how many thousands of small creatures call it home. In our booth, we bring the small insects in from a field in Tucson for you to see. Look through the microscopes and see many different types of insects and all of the different ways that these insects make their living - from sucking on plant juices, to spearing other insects with their sword-like beaks. Meet and Pet a Caterpillar brought to you by the laboratory of Dr. Goggy Davidowitz. Some juvenile insects look like the spittin' image of the adults. In other insects the juveniles look like they’ve come from a different planet than the adults. Come see how this happens. You will be surprised which is which! Pollinator Paradise brought to you by the laboratories of Dr. Dan Papaj and Dr. Judie Bronstein. 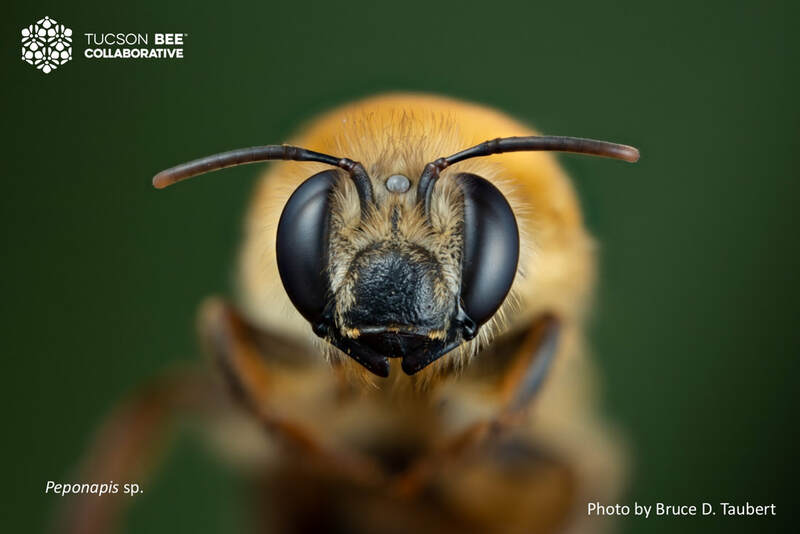 One-third of our food requires the services of animal pollinators, which usually means insects such as bees. We will have videos and live specimens available, and provide information about insects as pollinators. Social Insects brought to you by the laboratories of Dr. Kirk Anderson, Dr. Anna Dornhaus, Dr. Gloria Degrandi-Hoffman, and Dr. Vanessa Corby-Harris. Some insects live together permanently in large groups and are called social, while others are solitary. Social insects live in colonies that may have a few dozen members or hundreds of thousands. They work as a team to build a nest, find food and care for the young. Ants, termites and some bees and wasps are highly social and their colonies are well structured and efficient. 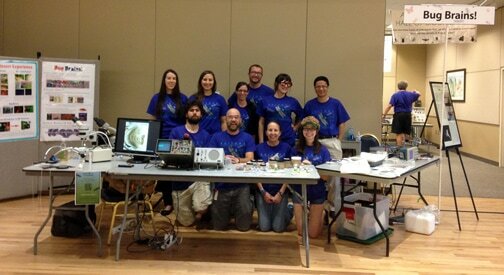 Come meet the social insects and learn about the ways they organize and work together at our booth. ​Transgenic Crops for Pest Control brought to you by the laboratories of Dr. Bruce Tabashnik and Dr. Xianchun Li. ​Application of pesticides to control crops pests often yields multiple side effects such as killing of non-target organisms (birds, bees, natural enemies, etc.) and environmental pollution. To overcome these side effects, a new approach of pest management -- transgenic crops with pest-killing genes inserted -- has been adopted to protect crops from pests for over a decade. The purpose of this booth is to share the science behind transgenic crops. Poetry gives us a vehicle to express our feelings about the natural world. 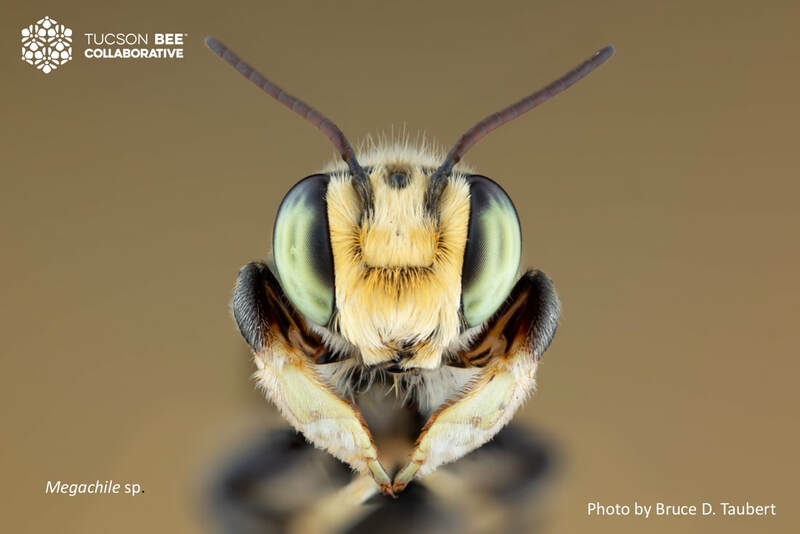 The Poetry Center docents will enable participants to create their own poems about the insects they encounter and couple this with their artistic representations of the insects. This will be a fun exercise for children (and adults) of all ages! ​The Joy of Roaches brought to you by the laboratory of Dr. Kathleen Walker and the Insect Discovery Program. ​Roaches are ancient, useful and beautiful Come meet these misunderstood and cuddly creatures! Hissing cockroaches are lovely, gentle pets. Check out the nature - entomological and otherwise! available in our nearby National Parks. Solutions for Pests In and Around the Home brought to you by the laboratory of Dr. Dawn Gouge. Got problems with unwanted visitors in or around your home? We cannot help you with your in-laws, but we can help you get rid of pesky 4, 6 and 8-legged pests. Bring bugs for identification, ask questions or come learn about some of our top pest problem species. Growing Up brought to you by the Arizona-Sonora Desert Museum and ASDM's Art Institute. ﻿eButterfly﻿ brought to you by Dr. Katy Prudic. Come learn how to identify local butterflies, what they eat and how they make a living. We'll have live caterpillars and butterflies for you to look at and coloring! If you are a butterfly connoisseur, learn about ﻿eButterfly﻿, an personal online tool to keep track of your butterfly checklists and photographs while sharing this information with butterfly enthusiasts all across North America. TBG Butterfly Magic!﻿ brought to you by the Tucson Botanical Gardens. 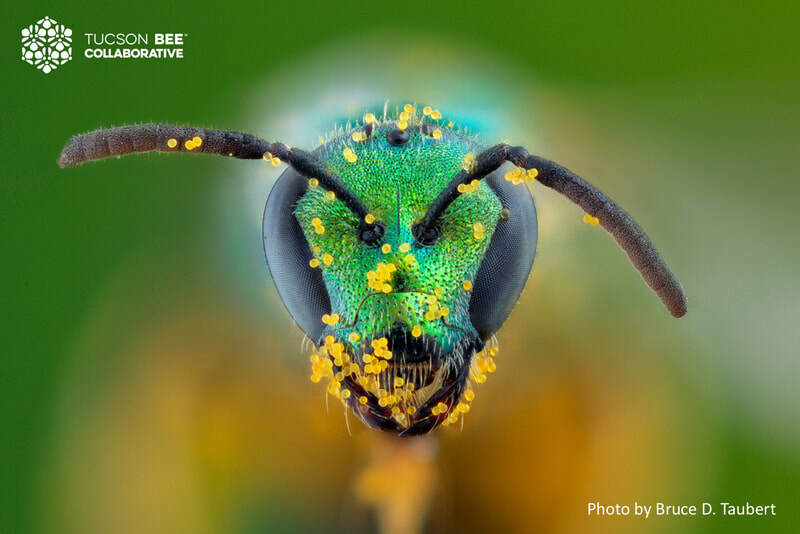 Have you ever wondered how or why bugs build things things like traps, hives, or other homes? Come and see the wondrous structures insects create as dwellings, to collect food, or to otherwise protect themselves. 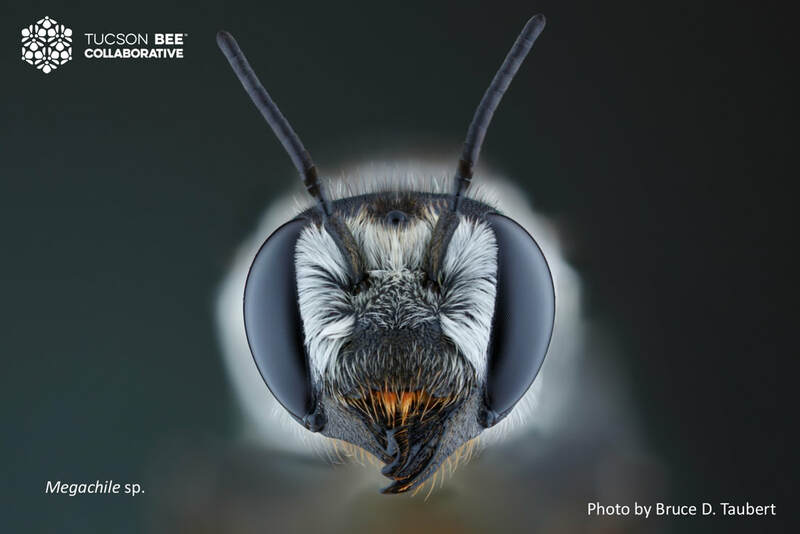 The College of Landscape Architecture, Planning and Landscape Architecture will have some insect-inspired designs on display.